Adrian Youseman was born in Swanscombe, a place best known for stopping William the Conqueror and asking some polite questions. ‘How do you get time to write?’ was a question posed by his friends when they found out his naughty secret. At first he assured them that his principle aim was to write for himself, so he makes the time, but even he has to question how it happens when expanding on his life. Besides his adoring wife and family he has been a school governor twice, borough councillor and all the while still running an engineering business. Living in a listed building also requires untold hours of restoration work, but he still makes time for tennis and church duties. 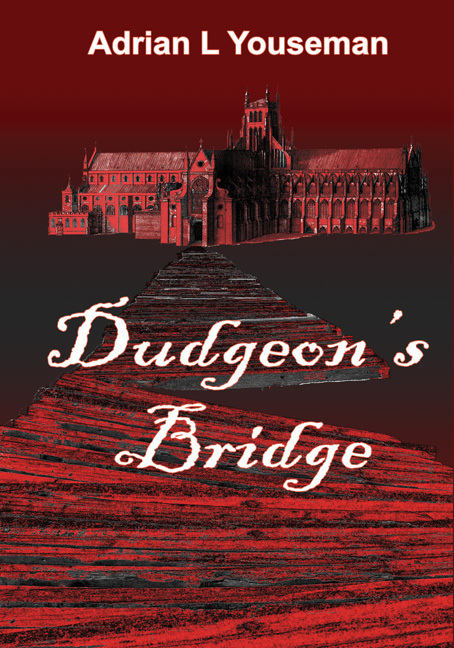 Dudgeon’s Bridge, his second book takes a look at some of our convenient 17th century history and rewrites it. Adrian is available for interviews and talks. Dudgeon's Bridge made me see our history in a new way and gave me insight into the events and people who have forged England. I felt I cared about the characters and full marks for 'atmosphere'; the writing gave a terrific sense of time and place. The story, sometimes lacking in pace, is nevertheless full of twists and turns. This is an author who is developing his craft and I'm looking forward to reading his next book. Dudgeon's bridge has been an eye opener, what I found most interesting is the way the author has rewritten a completely different perception of history connected to the Civil War, Commonwealth, Plague and Great Fire, which most of us have a basic understanding of. I very much look forward to reading other books by this same author. Dudgeon's Bridge has been a very interesting read, the author has taken into consideration information based on the Civil War, Commonwealth, Plague and Great Fire and re-written them into a different perception of history. In conclusion, the book has been an EXCELLENT read, very informative and a real eye-opener...FANTASTIC! I am very much looking forward to reading more books from this author.